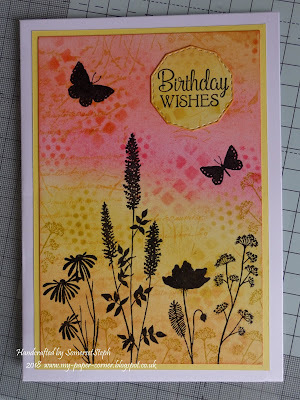 Made it my mission this week to create a card for Make My Monday Challenge #65 - Messy Backgrounds and here it is. 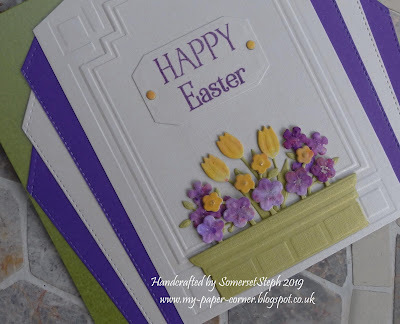 Yeah a challenge entry done and dusted! 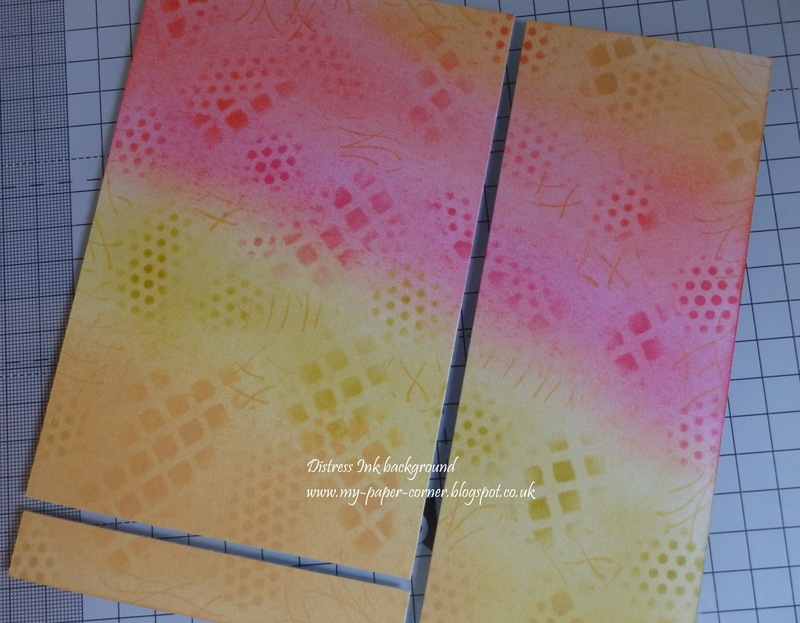 Decided to use my good old faithful distress inks and chose some brighter colours (worn lipstick, ripe persimmon, crushed olive & scattered straw) firstly to brush onto some white card then inked through part of a mask and randomly stamped in places too - a bit of everything really. 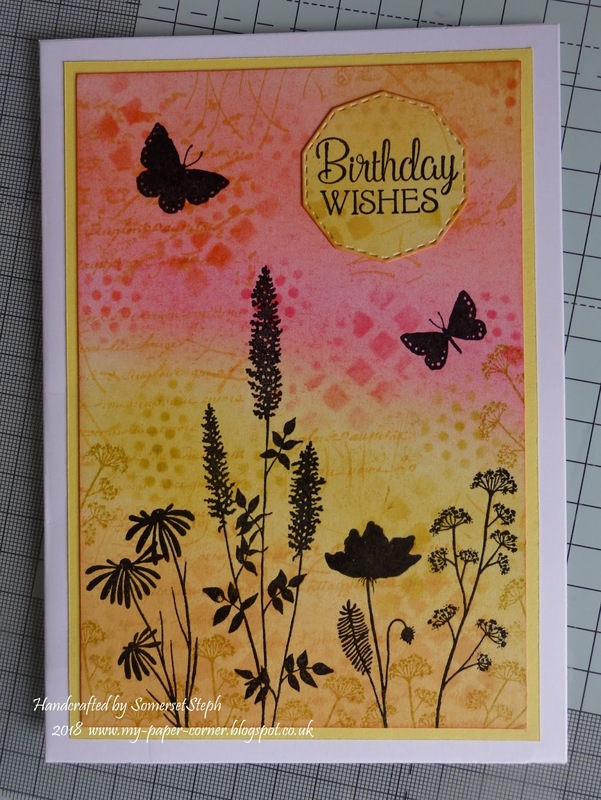 Love the look of black silhouettes so stamps were added with Versafine onyx black ink, heat embossed with clear EP for that shine effect (though sadly I haven't captured any shine in the photo). 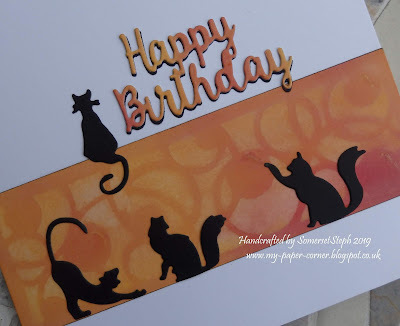 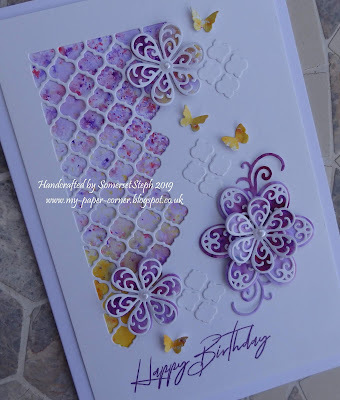 My finishing touch was a freebie Birthday Wishes sentiment stamp, die cut from a spare piece of the same inked background. 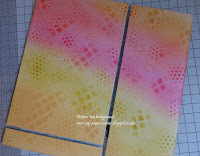 Decided on a yellow matt for mounting to keep the same colour theme.